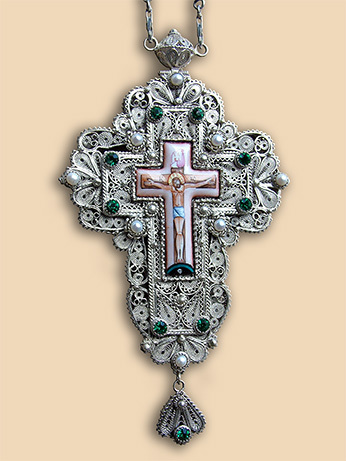 Material: silver 950, natural pearls, green zircons, enamel. 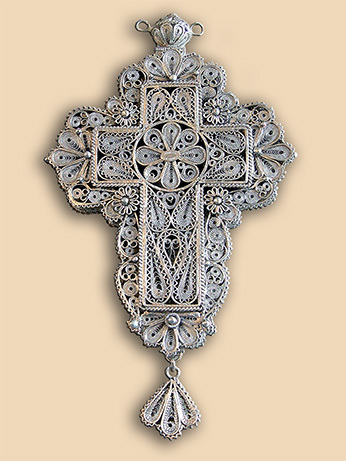 Weight: cross 191.50 grams, chain 70.5 grams. Commissioned by: Misita Family, Switzerland. In possession of : Archimandrite Simeon (Biberdzic), Abbot of Dobricevo Monastery, Bileca Republika Srpska.